The plastic kit parts are of course from Academy, there are eight light grey styrene sprues, 1 clear sprue and some vinyl tyres. A fair amount of the Academy parts are made redundant such as cockpit, wheels, superchargers etc. with all the additional goodies. The Academy kit is well known to the modelling community the moulding is clear and crisp, there are few injector pin marks in areas that will be seen unfortunately one of the worst places for the injector pin marks are the wheel bays which given their shape are going to be tricky to sort. The good news is however if you decide to use the photo etch parts included by Eduard rather than leaving it as the normal kit plastic this whole area needs to be sanded down and photo etch is added over these areas. If you decide not to use the photo etch I think a fair amount of time and patience will be needed to remove these and get the kit part smooth. From the built models I have seen of this kit it does build out of the Academy box into a very nice looking model perhaps lacking detail in some areas which hopefully this Eduard boxing can remedy. I’m also sure someone out there will be able to say its incorrect in length or something but I am not an expert on the aircraft I just like the aircraft and for me as long as it looks like a P-38 once its built I’m happy. Now onto the additional extras that are supplied by Eduard. First up the wonderful Brassin resin parts they are stunning nice clear crisp details I must admit I prefer the Brassin over the Aires P38J cockpit set. 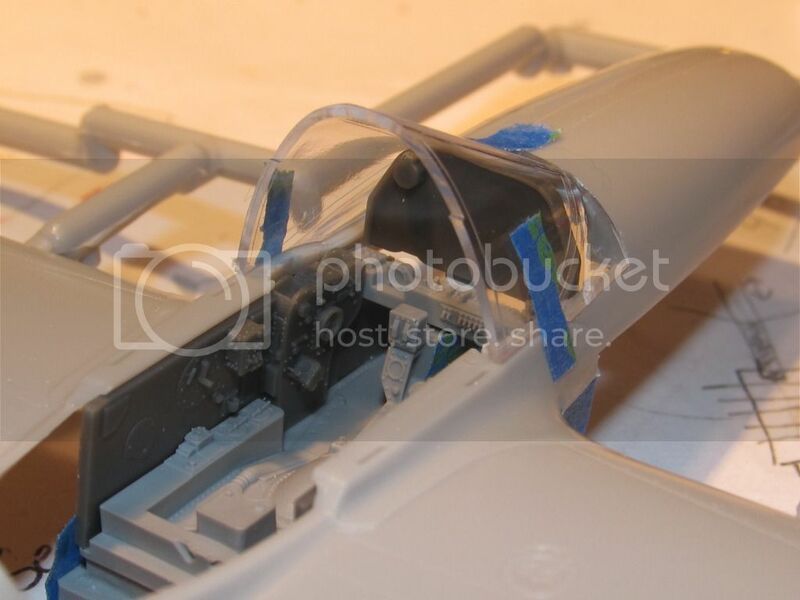 One area to be aware of it the instructions call for the plastic coaming to be removed from part D8 however there is no replacement for this so there will be a visible gap between the canopy, fuselage and instrument panel. I am really not sure if this is right as most of the photos of P38 cockpits I have looked at all show the coaming in place. I think a fair bit more research maybe needed by the individual when building the kit and it will have to be a personal choice. The superchargers are a lot better in resin and once painted up should set the kit off nicely and the wheels are a great full of detail addition to the boxing. My wheels just need a tiny about of clean up in between the spokes. All the resin parts are cleanly cast and are attached to solid mould blocks so may require a fair bit of sawing to remove them. 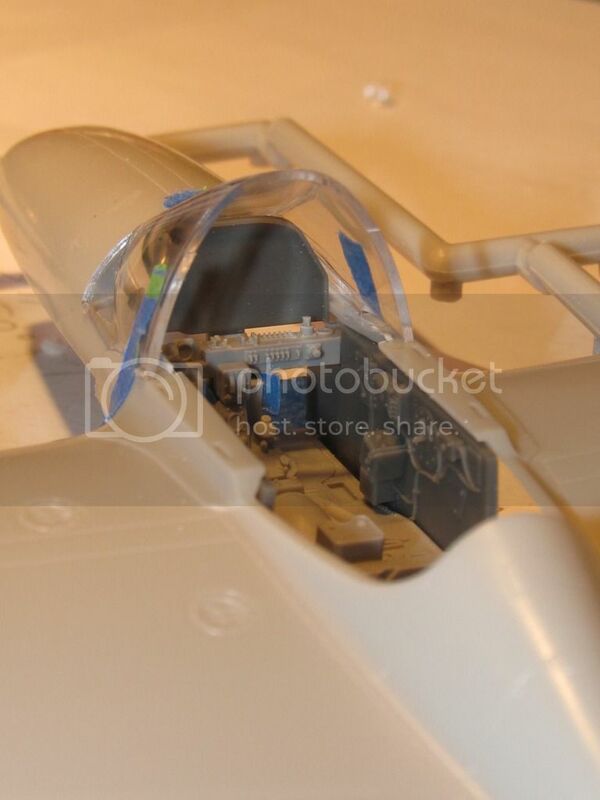 The photo etch is typical of Eduard’s standard lots of nice detail and full colour etch for the cockpit details which makes life a lot easier during builds. The instructions included with this kit are in Eduard’s typical A-4 booklet style with easy to follow straightforward parts diagrams and all the colour / decal options are in colour and clearly labelled. Apart from the cockpit assembly which is purely Brassin items the rest of the diagrams look to follow the same as the normal Academy build instructions just with the additions for the Brassin and photo-etch. The good thing is Eduard have made the diagrams bigger and moved the parts further apart in the diagrams so it is easier to see the pieces required and the stages don’t seem so cluttered up. The decals have been printed by Cartograf and are of the usual high standard good register and hopefully will be as good to use and settle down as previous Cartograf decals have been. Overall I think this edition will be welcomed by many I personally think it is good value for the items included (bear in mind if you bought the Academy kit, then other detailing sets/ aftermarket decals on top I think it would work out to spending more than this boxing) and these items do help to bring the Academy kit up to a better standard of detail. I couldnt wait for this one to come out and just managed to pick one up. I wanted to wait for it to go on sale in a month or two, but I have a feeling with this popular a subject with this level of included extras this kit will sell out much quicker than other limited editions. Oh dear, another awesome model to tempt me -- just a day after reading a book about an P-38 group! Sam, I look forward to your build. Which markings will it be? I purchased this kit at the Nats back in August for the decals and resin parts. The P-38 kit will be donated to some kid named Mongo in Cincy. I took one of my Hasegawa P-38s and did a little bit of surgery to a bulkhead behind the radio deck and removed the instrument panel coaming. The underside of the sills were scraped to thin down the area to set the sidewalls. The IP will need to be lowered about 1mm. The window sills will need to be narrowed as Hasegawa made them too wide but that will then fit nicely to the sidewalls. Since many resin upgrades require some scraping and cutting of original parts Eduard could leave these parts alone and use them in the Hasegawa kits. The turbochargers don't fit the HSGW wells so maybe Eduard could do a new set to match the kits profile. The resin wheels are outstanding and I hope that they will do different tread patterns in the future. I haven't tried the air intakes but with a little work they too should fit nicely. The decals are outstanding and were half the reason for me to buy the kit. Even though the Hasegaws kit needs a lot patience to fit together it is a wonderful kit and some Eduard resin parts would do it good. They already have a great start for us modelers to want to buy and improve the Hasegawa kits.